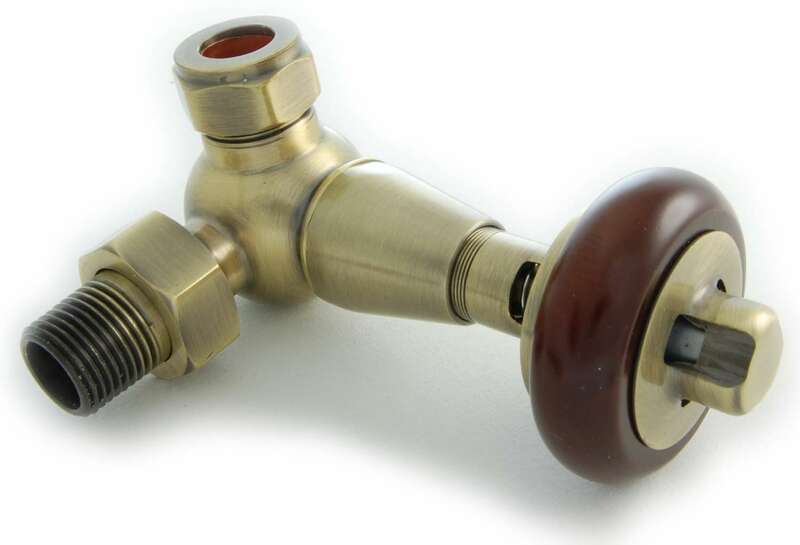 The Faringdon Corner Thermostatic Radiator valve in Antique Brass. 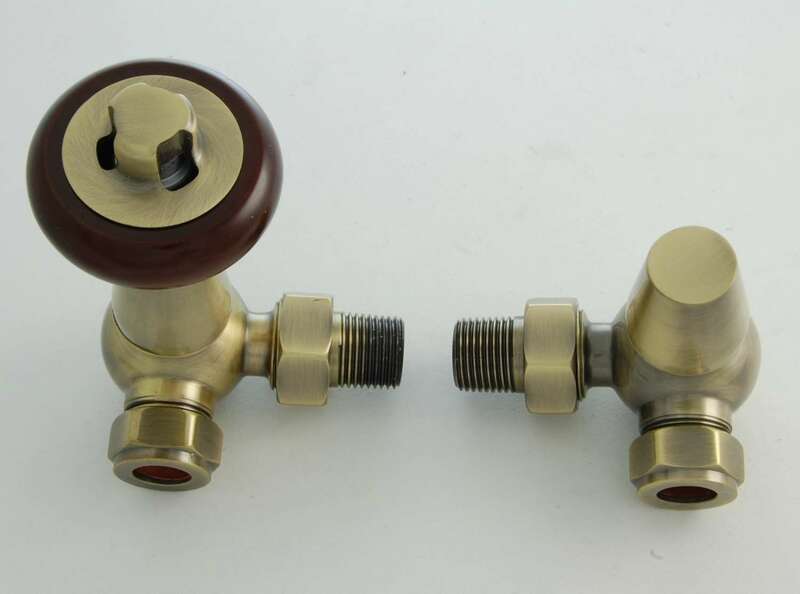 The Antique Brass is a satinised and antiqued brass finish which works perfectly with our antiqued cast iron radiators. 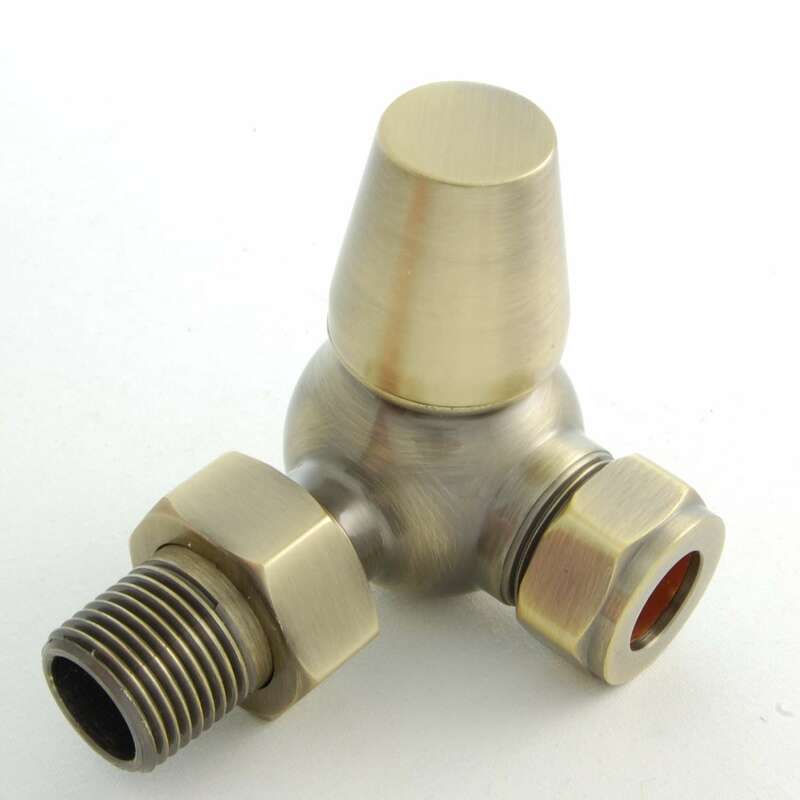 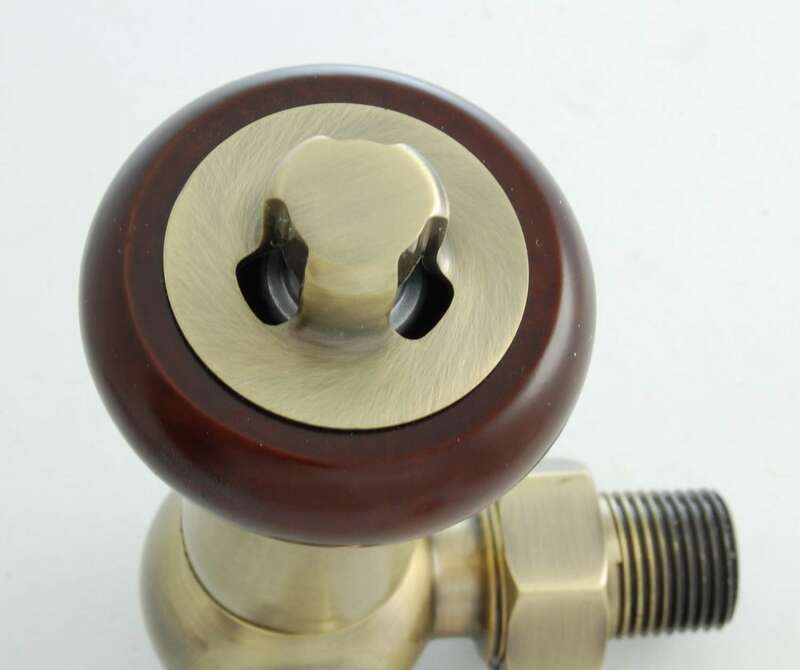 This valve is available in a range of finishes. 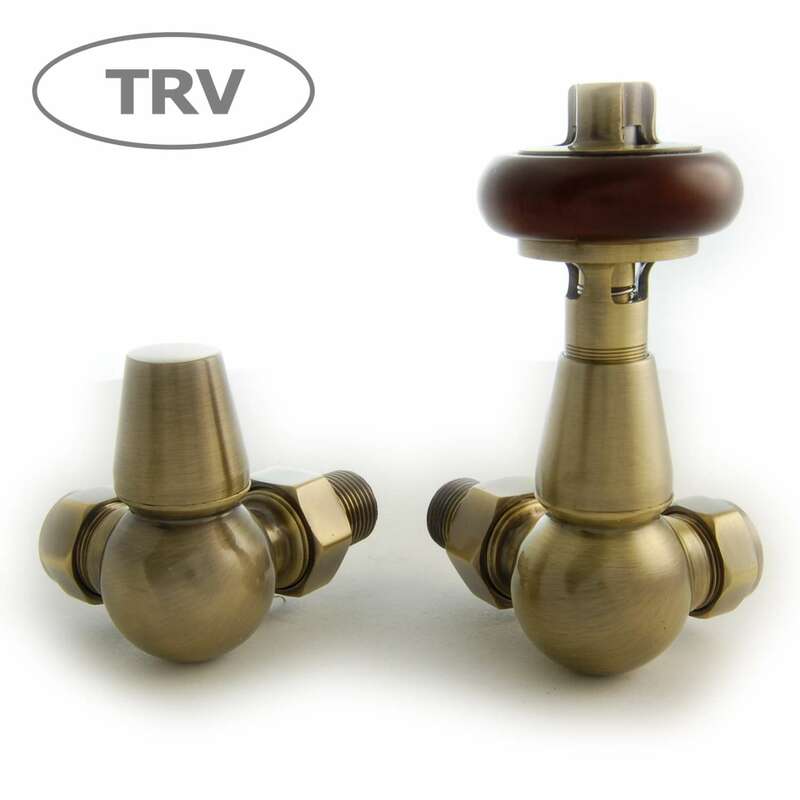 These valves are designed for pipe work coming from the wall.